Beatrix (or Bea for short) is a sweet little bear. Her favourite food is honey, and she has a fondness for bees. She hopes that her little bee pendant will protect her from stings when she scavenges for fresh honey. She also loves nothing better than to play with cogs, keep an eye on your watches and clocks. 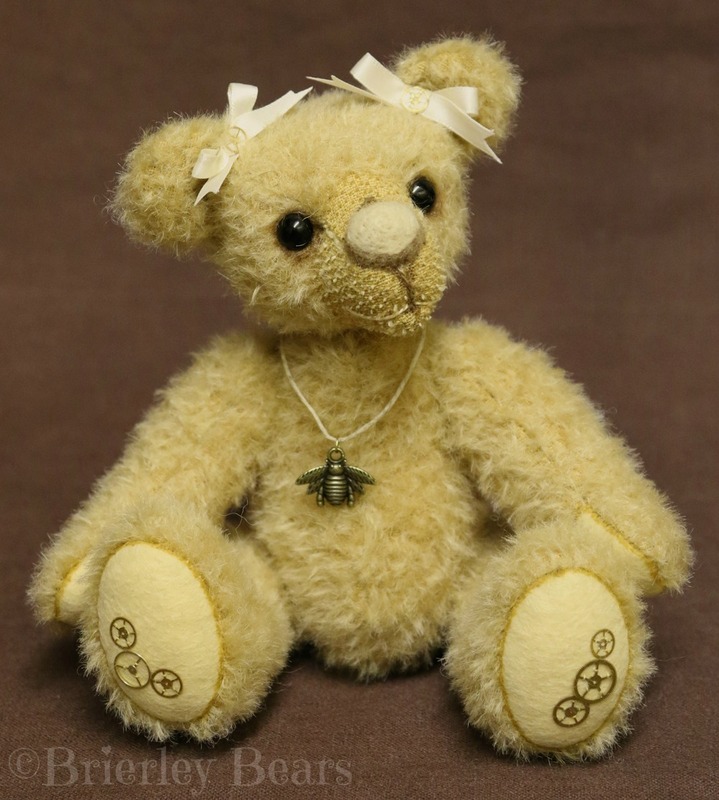 Beatrix is one of a kind steampunk bear, approximately 8″ (20 cm) tall when standing. 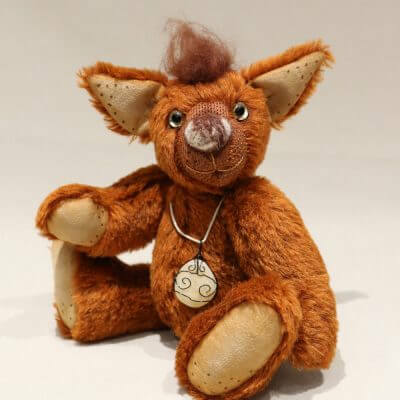 She is made from honey coloured Schulte mohair and is five way jointed, with nut & bolt joints in her arms and legs and a cotter pin neck joint. She is filled with polyester fibre and has some stainless steel balls in her tummy for extra weight. She has black glass eyes and has a large needle felted nose. Beatrix has been carefully hand shaded. She also wears a bee pendant and has cogs on her paws and in her bows. Payment plans of up to four months are available. 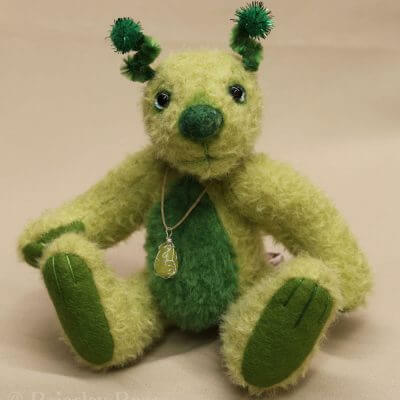 Brierley Bears are designed with the adult collector in mind, and due to the small parts used in creating them they are not suitable for children under the age of 14. 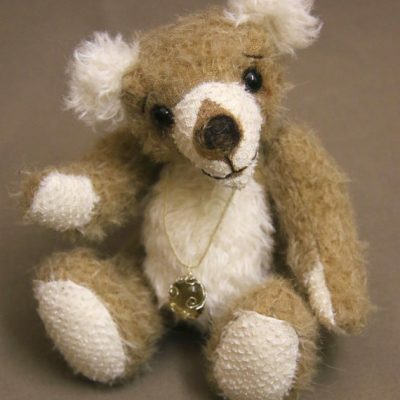 All bears come with a sewn in tag and their own personalised hang tag and information booklet, signed for authenticity. I will post worldwide, and all items will be sent by insured post. Overseas postage prices are estimated, and if the actual cost of postage is less than quoted on here, I will refund the difference. If would prefer an accurate postage quote, please email me and I will get back to you as soon as I can.